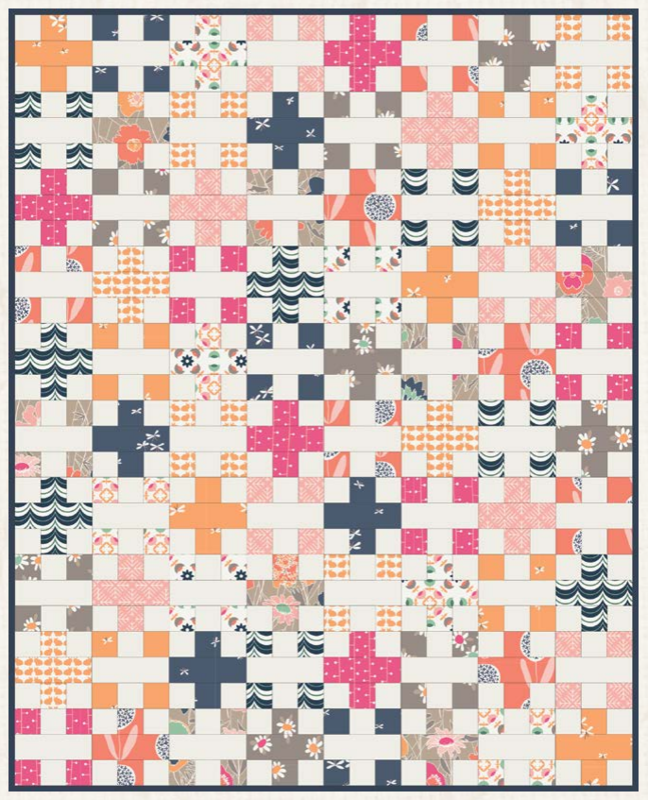 "Today I'm happy to share the free quilt pattern I designed for my Curiosities collection, Abundance! The AGF team stitched it up in the Sweet Finds colorway. It uses just ten fat quarters and a little over two yards of solid fabric. 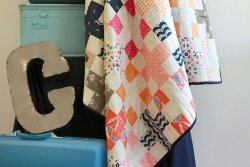 I paired Curiosities with Pure Element White Linen for this quilt along with Nocturnal for the binding. "This is a fat-quarter friendly throw quilt that comes together quickly by taking advantage of strip-piecing. I love making these kinds of blocks, I hope you enjoy it too!"